Web form that replaces a paper form and process. 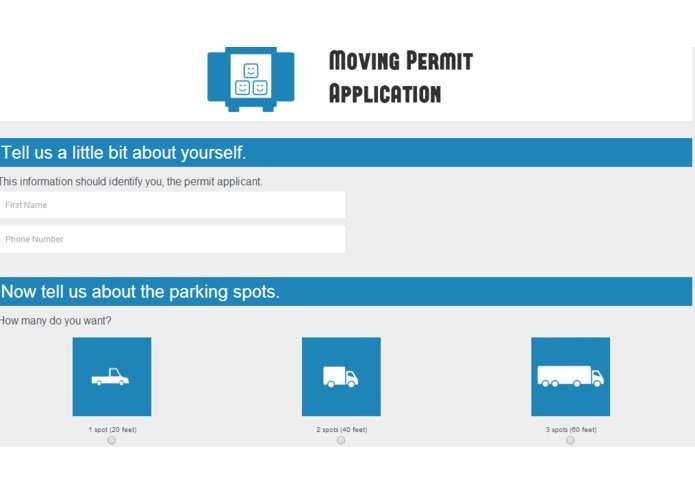 Citizens wishing to reserve a parking spot for a moving truck or other vehicles often find it easier if the parking spots are reserved in advance. This is currently an in-person, paper-based, manual process that involves multiple departments at City Hall. We've moved that process to an electronic, web-based form.